Its Christmas time, mistletoe & wine……but not in our house. Alas no wine, just delicious cups of sweet, spicy homemade Chai Tea. I have always been a fan of Chai Tea, but I have to admit that I used to drink that awful sweet syrupy stuff that was filled with questionable ingredients that gave me a tummy ache every time I indulged – but of course the odd tummy ache can not deter my sweet tooth & I indulged regularly regardless! That was until I started making my own Chai Tea, now I can indulge my sweet tooth every night after Miss Three is in bed & no tummy ache! 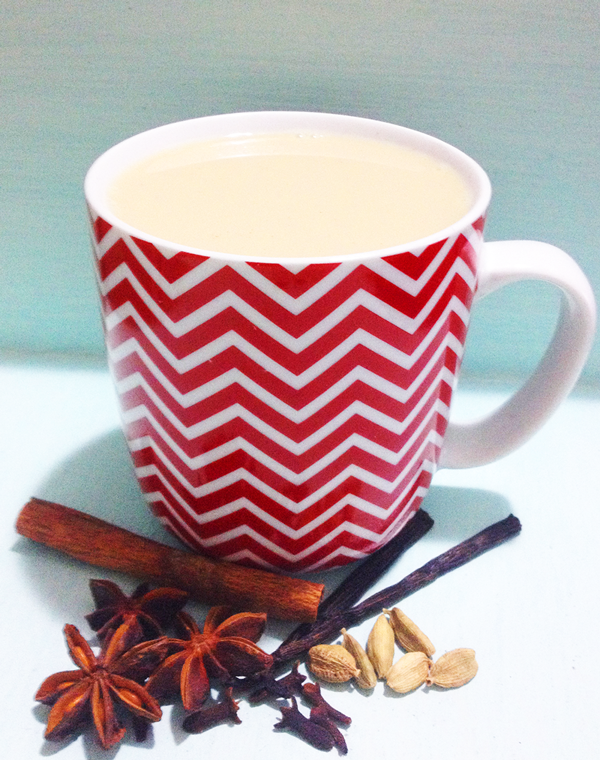 This Chai is sweet & quite spicy – just the way I like it. 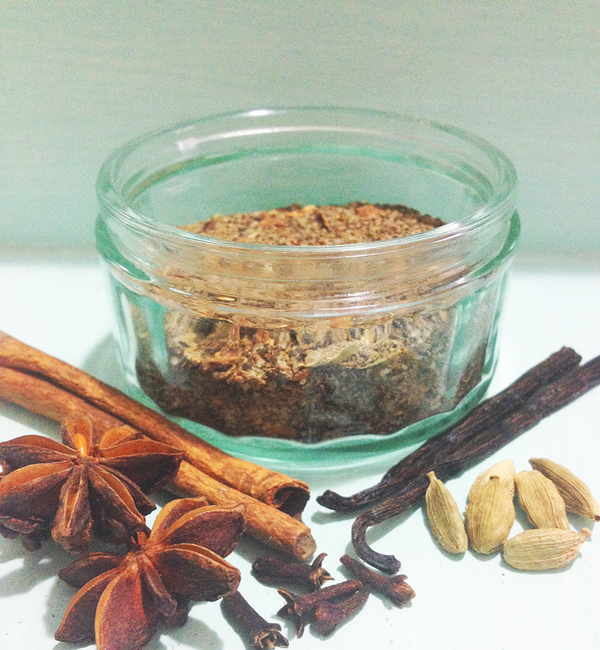 The recipe makes about 4-6 mugs full of Chai Tea (depending on whether you add milk or not) so I recommend making the recipe as it is & then tweaking it to your individual taste preferences by mixing up the quantities of spices etc. This is yet another super simple recipe – what else could you expect from this Lazy Cook?. Place all ingredients except the tea & sugar into a blender, Thermomix or coffee grinder & blend until the ingredients have been ground to a tea like size. I then pick out the cardamon pod shells (but you can leave them in – it makes no real difference except to the look of your tea). I then add the tea & sugar & blend till combined. And thats it – It takes all of five minutes & taste divine. To make a Mug of Chai Tea (which is the way to go, a cup will leave you wanting more…) simply place about a dessertspoon of your Chai mix into a tea pot, strainer or plunger. Top with 250ml of just off boiling water & leave to steep for five minutes. Enjoy it black or add some almond milk or cows milk & enjoy a wholesome Chai Latte with all the natural goodness from the spices & no nasties!